You cannot buy honey online, as it is too heavy to ship. The stores listed above are all near my apiaries, or are places I visit regularly. So, I don't make a special drive to deliver honey. Comb Honey is cut from a frame of honey. One frame of honey gives 4 squares of 1 pound each. The 2011 Summer 12Oz Hex Jar is mostly yellow star thistle. $11 per jar is suggested retail. This Week In Science (twis.org) podcast on itunes 27 Oct 2009. I explain how bees, as a managed insect, are vulnerable to disease. The Thomas Jefferson Hour Podcast Episode 960, minutes 37:20 - 38:20. 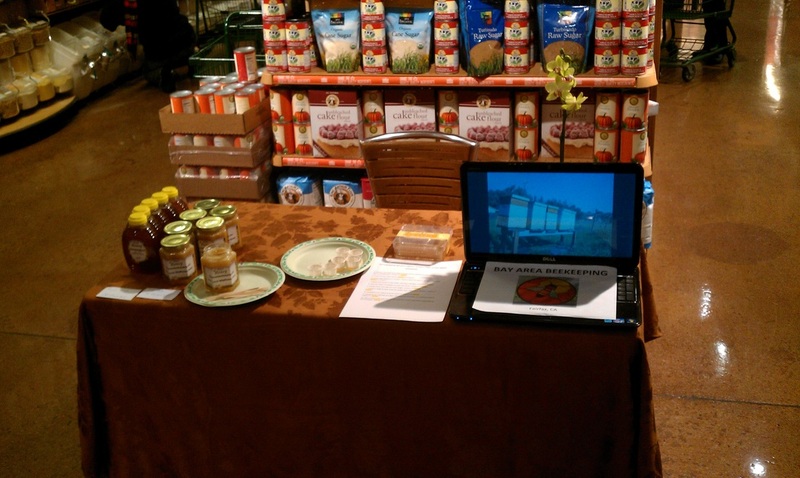 Many people buy local honey because it claims to alleviate allergies. This is a common belief among honey sellers, who also use it to market their local honey. The claim that honey alleviates allergies is as baseless as the claim that eating royal jelly cures male impotence! We laugh at the second, but the first claim is only popular, not correct. 2. If there was pollen in honey, it would be a kind of sticky pollen carried by pollinators; not the wind-borne pollen which causes allergies in people. 3. If we did eat honey with some allergenic bee pollen (e.g. live-oak tree pollen); then we would be unable to digest the pollen grains. Pollen has a cellulose shell, and passes through us un-digested. Even bees cannot digest pollen and must ferment it before eating. 4. If we could chew the pollen enough to digest a little of it in our stomach, it would be digested to amino acids, fats, and sugars--which would be absorbed by our small intestine. It would be like eating a sesame seed. 5. If we could absorb the pollen grain whole and get this into our blood--we would have a massive immune system reaction in our blood, which might kill us. This happens every year to people with leaky intestines. 6. If, somehow, we could get the pollen from our lips to our nasal passages--what effect would this have? If we could do all the above, it wouldn't matter, b/c we have upper respiratory allergic reactions to allergenic inhalents. We breathe in pollen from the grasses in the fields, the pollen hits the inside of our nose, the pollen releases chemicals and enzymes to break down the pollen's cellulose shell--and we have a localized, histamine-activated reaction in our nose (nasal passages). The pollen grain is attempting to fertilize the inside of our nose, and our nose cells are trying to kill it with chemicals. We sneeze and our nasal passages swell with blood from the effects of the nose cell chemicals. A. Historically comes from a group with a financial interest in the cliam being believed by their potential customers. B. Contains a suite of claims, none science-based, along with the claim in question. C. Makes claims which have, historically, not been challenged by government regulation. It is up to the party making the claim, to provide the evidence. Testimonials are not evidence. We all agree that most people believe eating local honey will alleviate their allergies--and these people will, of course, enthusiatically endorse the local honey product. Two hundred million USA testimonials simply means that most Americans believe the claim. If the claim falls out of favor in our culture, as has the male-enhancing effects of eating royal jelly, then the children of the same 200 million Americans will laugh at the notion of eating local honey for allergy relief. Science gets at the truth, where testimonials bring no information--simply reflecting what we already know: Some people believe in your product's health claims. If you are a honey producer, you should move away from unsupported medical claims. As a pollen-for-allergy producer (if you have read this far you are phenomenally open-minded); you should investigate US pollen production 100 years ago. 2. Your honey / beekeeping industry loses credibility when the public finds out it has been paying high prices for a false-medical claim enhanced product. 3. 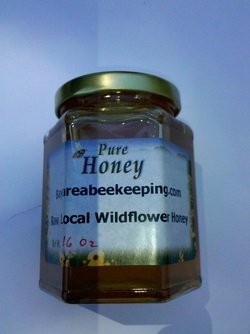 Medical claims will eventually be veted by the FDA, and local-honey-for-allegies will not pass scientific review. Honey is concentrated nectar, isn't that enough?